With the holidays and an extra long Christmas break, we’ve been eating out more than usual (never good) and I’ve been doing a lot of day to day planning (also never good). We’ve still got one more week of vacation, but meal planning is back in progress. I’ll probably add in some salads with most of these meals – I’m craving mixed greens right now. Lunches tend to be leftovers. I’m starting to feel a bit desperate for new grain and dairy free breakfast ideas…eggs are starting to get a bit old. Any ideas? 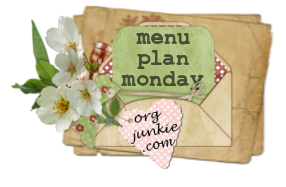 A few new recipes and a few old favorites – my favorite sort of week. This entry was posted in Simply Meal Planning, Simply Paleo and tagged gluten-free, gluten-free meals, Gluten-free menu plan, meal planning, menu planning, paleo, Primal by Awkward Girl Gets Fit. Bookmark the permalink. I eat leftovers for breakfast. Love them! I make sausages every Monday and Thursday then we re-heat them in the morning. Would work for any type of meat. You posted a recipe a while back ….ground beef with cream (or coco milk) and cajun seasonings I think….warm that up and plop a fried egg over the top like it’s gravy.